S.W.A.T.. Michelle as Chris Sanchez in S.W.A.T. (2003). 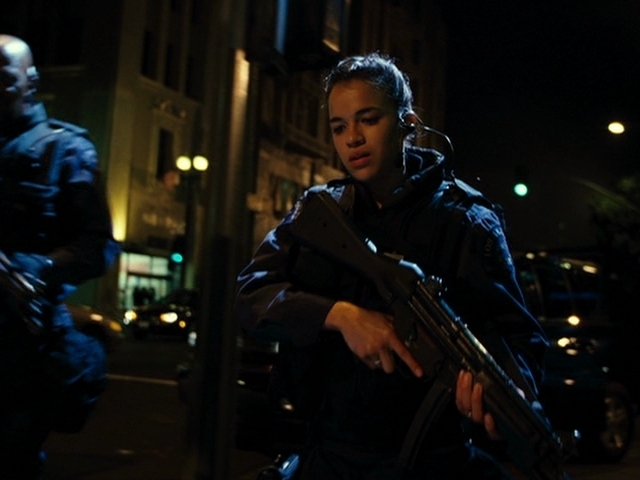 Wallpaper and background images in the 미셸 로드리게즈 club tagged: michelle rodriguez screencaps swat chris sanchez 2003. This 미셸 로드리게즈 Screencap contains 음악회 and 콘서트. There might also be 기타리스트, 기타 플레이어, 기타 연주자, and 기타.